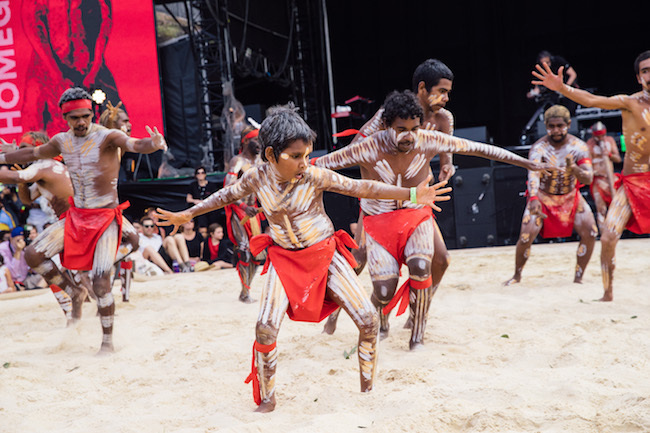 This month, Australia’s First Nations dance competition Dance Rites will return to the Sydney Opera House Forecourt for a free, two-day nationwide celebration of Aboriginal and Torres Strait Island dance and cultures. Taking place on the weekend of 24-25 November, Dance Rites 2018 draws together some 300 performers representing nations from across the country, including the APY Lands, Far North Queensland, Victoria and Tasmania. Groups will travel to Sydney to showcase their unique cultures in one of the world’s most spectacular outdoor performance spaces on Bennelong Point, formerly known as Tubowgule, which has been a meeting place for ritual celebration and dance for tens of thousands of years. 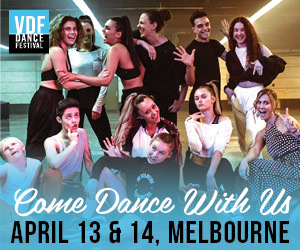 Each group will present three dances: a welcome and a farewell dance – one of which must include a chant in local language – and a ‘wildcard’ dance of the group’s choosing. 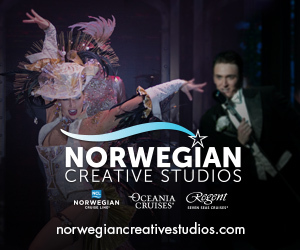 The winning group will receive $20,000, one runner-up will receive $5,000, and $3,000 will go to the highest-scoring ‘wildcard’ dance. An expert judging panel including Juanita Duncan, Libby Collins, Matthew Doyle and Waangenga Blanco will assess the participating groups not only on the technical aspects of their performance but also their engagement with language, skin-markings and traditional instruments. New for 2018 is a special award that celebrates a dance troupe’s outstanding contribution to the communication of cultural knowledge. Each day during the competition, exceptional Dance Rites alumni will return to perform exhibition dances, including Kulgoodah Dancers (overall winners, 2017), ALLKUMO Malpa Paman Dancers (winners of the Wildcard Award 2017) as well as professional troupes such as the highly acclaimed Muggera Dancers and the inspiring New Zealand dance collective Te Rua Mauri. Saturday evening will conclude with a performance from electro-pop duo Electric Fields, while on Sunday Canada’s Anishinaabe award-winning singer-songwriter Leonard Sumner will be accompanied by Julian Bel-Bachir, the drummer for OKA. The Opera House first launched Dance Rites in 2015 as part of its First Nations festival Homeground (2014-2017) to celebrate the richness and diversity of the world’s oldest living culture. Since then, the ground-breaking national Indigenous dance competition has evolved to become a hallmark First Nations event, with participation doubling between 2015 and 2017. In its fourth year, Dance Rites returns as a stand-alone event and is now the Opera House’s annual signature First Nations festival. For more information, visit the Dance Rites 2018 event page at www.sydneyoperahouse.com. Photo: Dance Rites 2017 at Sydney Opera House. Photo by Daniel Boud.